1trax continues its numerically themed mix series with ‘Four’ mixed by Hector following contributions from Subb-An, Matt Tolfrey and most recently, Huxley. As with previous instalments, the DJ behind it is one of the house music scene’s new breed of tastemaker. An alumnus of London’s Phonica Records store, Hector has become a touring DJ in recent years while also building as a producer for the likes of Desolat and Siesta. 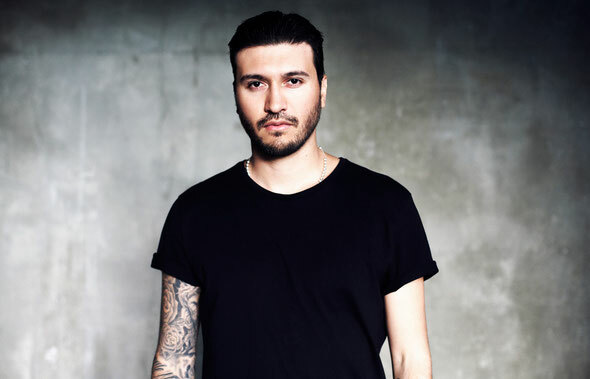 The Mexican- born Berliner’s continuing association with Loco Dice and his Artist Alife management company has done little to harm his reputation, which has been on a slow, steady burn in recent years. 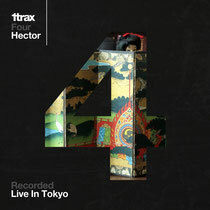 For the first time in the 1trax series, the mix for ‘Four’ was recorded in a club setting, namely that of the legendary Womb club in Tokyo. Musically, Hector is a house music devotee who favours deep, hypnotic grooves and this sensibility bleeds through his entire mix. From the smoky feel of the Melchior-esque opener, Arapu’s ‘Flash’, to the airy but dominating force of Boo Williams’ ‘Mortal Trance’, ‘Four’ snakes through a multitude of modern house variations. West Coast vibes courtesy of Joeski and Secret Society, stripped minimalism from Bruno Pronsato, warm techno from Ben Klock and pulsing darkness from Hanfry Martinez are all deftly threaded together into a dense and rhythmic mix from Hector. As with previous instalments in the series there’s also exclusive tracks and mixes, this time from tiNI, Fernando Constantini & Alexandar Kyosev, Anthea and John Dimas – all of which will feature on a separate vinyl sampler. It’s out May 27.